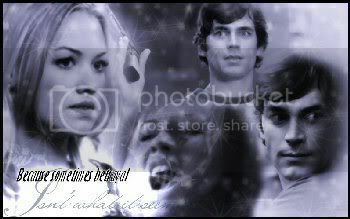 Fan Forum > Archived Forums > Chuck > The Andersons [Sarah & Bryce] #2: because we'll always have Omaha. The Andersons [Sarah & Bryce] #2: because we'll always have Omaha. It only took the whole season, but how fitting since we had Sarah making the same Bryce moves in the Pilot. That was awesome seeing Sarah make those moves. When I saw the setup of that facility, I knew and I cried BRYYYYYYYYYYYYYCE. Then she went ahead and did it. But how did she know what he did exactly? I don't think they ever implied that she did. I think it just showed that the were both made of the same type of awesome. that's always going to be my biggest problem with white collar... that bryce never got to come back and new missed a chance ffor their backstory. I think he would have been a more enigmatic villain than Shaw and I think it wouuld have really pulled on the heartstrings more. Did anyone write that fic? Bryce as a better Shaw. I don't read much fic, but I'd definitely read it. I swear I did start to read a fic about it awhile ago... But Its been a long time since I read a chuck fic. I'm sure there's one. I wouldn't put it past the Chuck fandom. I even once read a great Shaw/Sarah fanfiction.